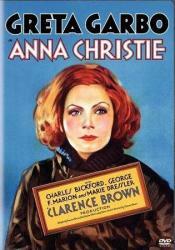 Drama, USA, 1931, 85 min. Synopsis Old sailor Chris Christofferson eagerly awaits the arrival of his grown daughter Anna, whom he sent at five years old to live with relatives in Minnesota. He has not seen her since, but believes her to be a decent and respectably employed young woman. When Anna arrives, however, it is clear that she has lived a hard life in the dregs of society, and that much of spirit has been extinguished. She falls in love with a young sailor rescued at sea by her father, but dreads to reveal to him the truth of her past. Both father and young man are deluded about her background, yet Anna cannot quite bring herself to allow them to remain deluded.